I received this book for free from a book tour. This review is voluntary. My opinion is not influenced in any way. This wasn't the way Beck Throckmorton had planned it. She wasn't expecting to find herself in her thirties writing erotica and making flat whites for a living while she stewed over the fact that her ex had wound up with her sister. She never saw herself living in a small suburban Ohio town with an octogenarian neighbor best friend. And she definitely wouldn't have imagined the eight-year-old great-granddaughter of that friend turning her world upside down. 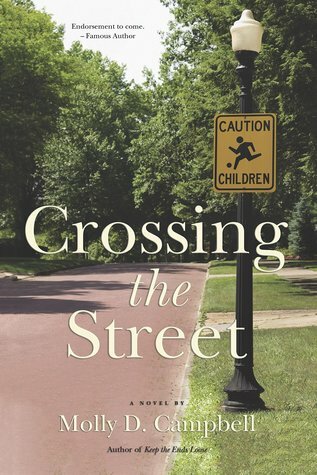 Crossing the Street is a funny, touching novel that brims with life's complexities. Filled with characters both distinctive and welcomingly familiar, it is a story that will entertain and enlighten. I am so excited to announce the release date of my next novel, CROSSING THE STREET. It comes out on May 9, 2017 from my wonderful publisher, The Story Plant. It is the story of a disillusioned writer, her hum-drum life, the eight-year-old girl who becomes her best friend, and their eventful summer together. It has a bitchy sister, a boring boyfriend, a missing cat, and a surprise ending. I hope you will want to run right out and grab one. It is not that simple. First of all, there is the issue of PLOT. Even those well organized authors who spend weeks with post-it notes, special software, white boards or index cards know how absolutely horrible plot lines are. They meander off when the writer least expects it. They start out with a bang and then fizzle out. Characters that were supposed to be “walk-ons” insist on taking over. Nothing goes as planned. Here’s the thing. Every single book worth reading out there has been ripped apart by a talented editor and rewritten by the author. Probably multiple times. Editors don’t get the credit they deserve. I bet many avid readers don’t even realize that the books they are staying up all night to finish have been scrutinized and analyzed by an astute editor multiple times. Hair has been torn out. Expletives have been hurled at the text. Chapters and entire story lines have been deleted. It’s not for the egotistical. Any writer who resists being edited is probably a hack. So I am thrilled beyond belief that after multiple rewrites, many sleepless nights, and more than one goddamn it, my book is nearing the finish line. All that remains is writing the acknowledgements. This is my reward! That, and typing THE END. Crossing the Street by Molly D. Campbell is one of those books that pulled me in right away. The story was very easy to relate to and kept me engaged. The setting felt familiar while still feeling different and exciting (I live in a small town in Ohio). The characters were spot-on. My heart was quickly wrapped up with Beck and Bob. I laughed, I teared up, and I enjoyed the story from beginning to end. 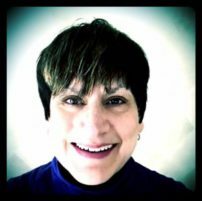 Molly D. Campbell is a two-time Erma Bombeck Writing Award winner and the author of one previous novel, Keep the Ends Loose. Molly blogs at http://mollydcampbell.com. Also an artist, Molly’s work can be found at http://www.cafepress.com/notexactlypicasso. 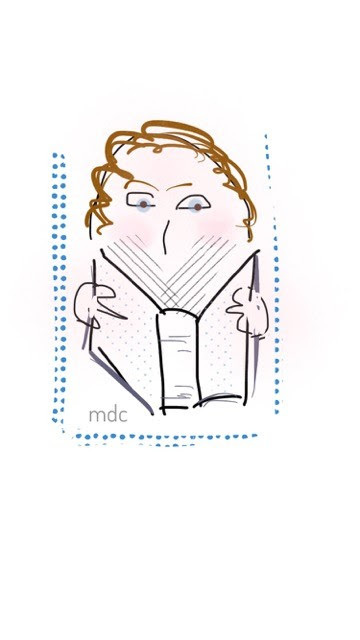 Molly lives in Dayton with her accordionist husband and four cats. Thank you! So glad to be featured today! Love this post, especially since I read this book and fell in love with the characters.